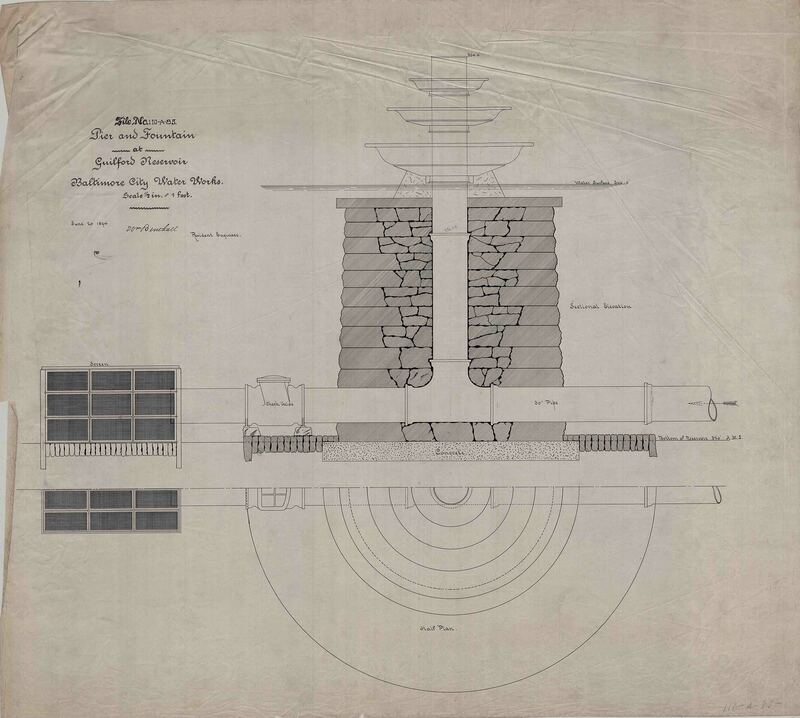 1888 – Eastern High Service Reservoir at Guilford: On June 5th, 12 acres, 3 roods and 29 perches of land was purchased on Cold Spring Lane, west of York Road, for an Eastern High Service Reservoir at Guilford. The Guilford estate was purchased from the heirs of the late A. S. Abell. 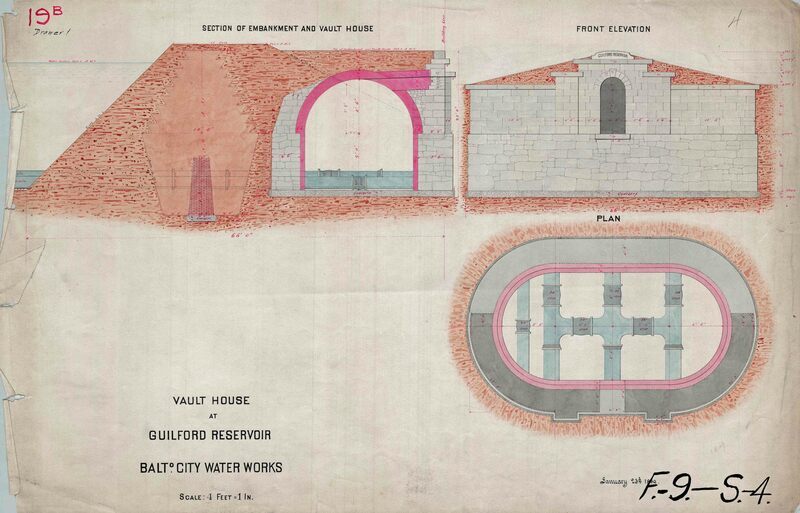 A contract was awarded on July 30th to Messrs. Jones & Thorne for the construction of the Guilford Reservoir. The reservoir will have an elevation of 350 feet and a capacity of 40 million gallons of water. The water will be supplied to this reservoir from Lake Clifton via the Eastern Pumping Station. 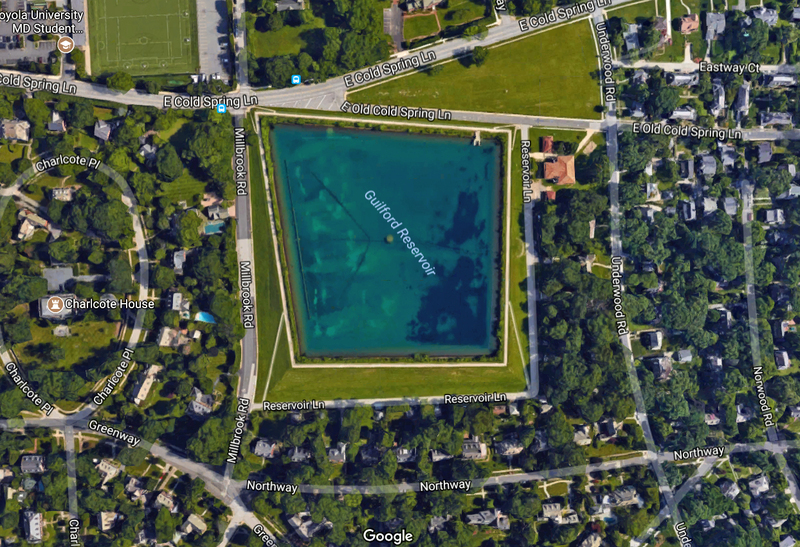 All the area between Huntingdon Avenue and Cold Spring Lane will be supplied with water from this reservoir. The 36-inch pipes temporarily used to supply Gunpowder water to Roland’s Run will be re-laid under York Road, forming a line through which water will be forced from Lake Clifton to Guilford Reservoir. The construction of the Guilford Reservoir commenced on August 1, 1888. Property purchased by the City. An earlier drawing without the date on top stone of vault. 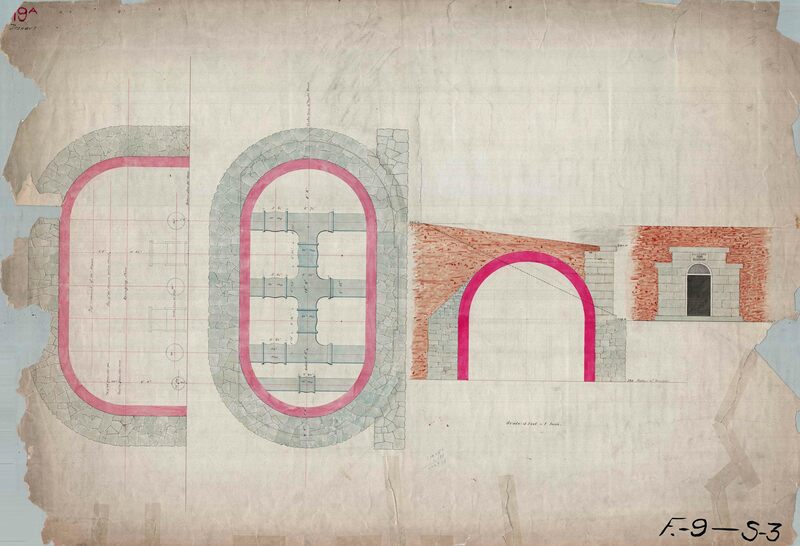 A later drawing for construction purposes, showing the date. 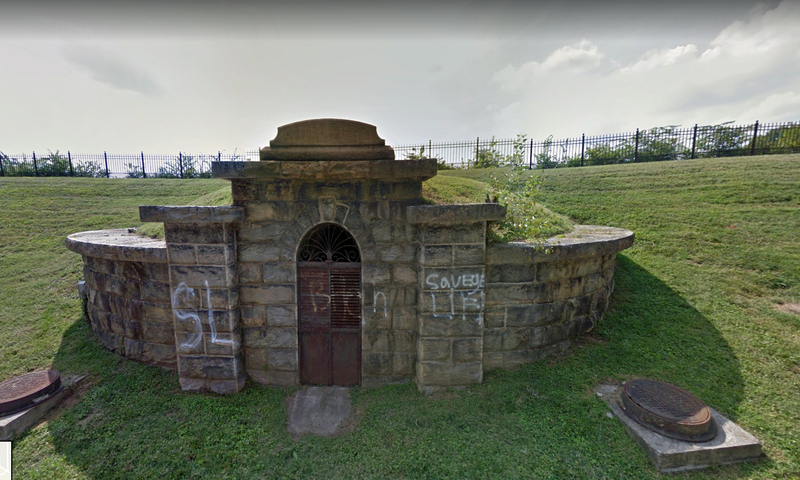 The connection of this reservoir to the water system is documented in the Early Water History: 1889 – Eastern High Service Pumping Station: A contract was awarded to Henry R. Worthington Company for the erection of the Eastern High Service Pumping Station at the corner of Oliver and Ann streets. The pumping station will have a heavy duty pump with a capacity of 5 million gallons per day for the Guilford Reservoir and ultimately for increasing the water supply in Druid Lake. Supplying Druid Lake is a result of decreasing flows of the tributaries supplying Lake Roland; and of the increase in water demand to the higher elevations. The pipeline installation connecting the Eastern Pumping Station to the Guilford Reservoir was nearly completed during the year. The construction of the Guilford Reservoir was proceeding at a good pace. The excavation was completed, the vault chamber was constructed, the puddle trenches in the embankment surrounding the reservoir were sunk to the requisite depths, and the mains to the reservoir were installed. Hard to see the date on the top stone in this street view. From the history: 1893 – The Guilford Reservoir was completed on June 29, 1893 and placed into service supplying finished water to the public. 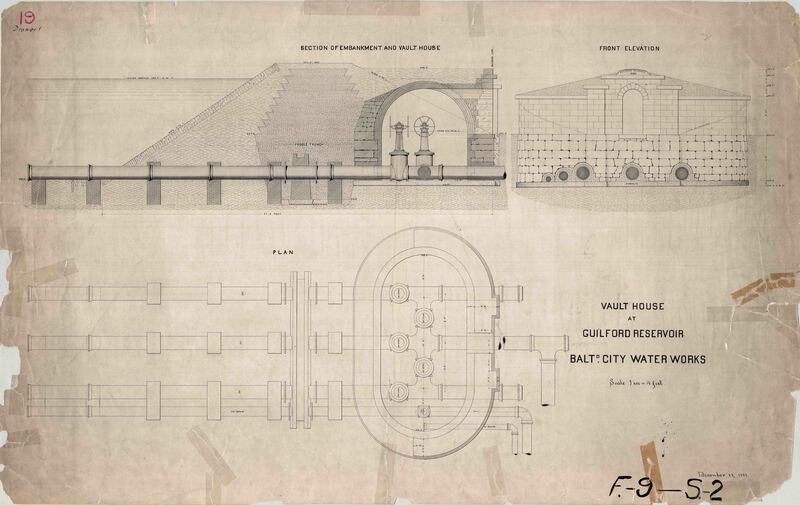 By 1895, the water consumption from the Guilford Reservoir averaged 400,000 gallons per day. This drawing is from 1894. I did not know there even was a fountain in here. The two times I went to the reservoir for work was a few years ago for a CL2 leak and just recently to see the work going on there. 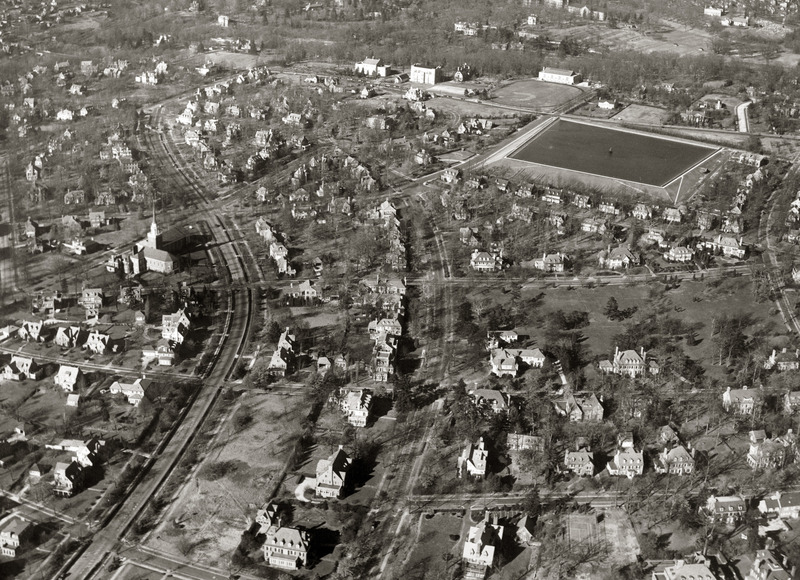 In this 1938 aerial view, from the Baltimore Sun, Dark Room series, you can see the fountain in the center of the reservoir and the valve vault on the right hillside. 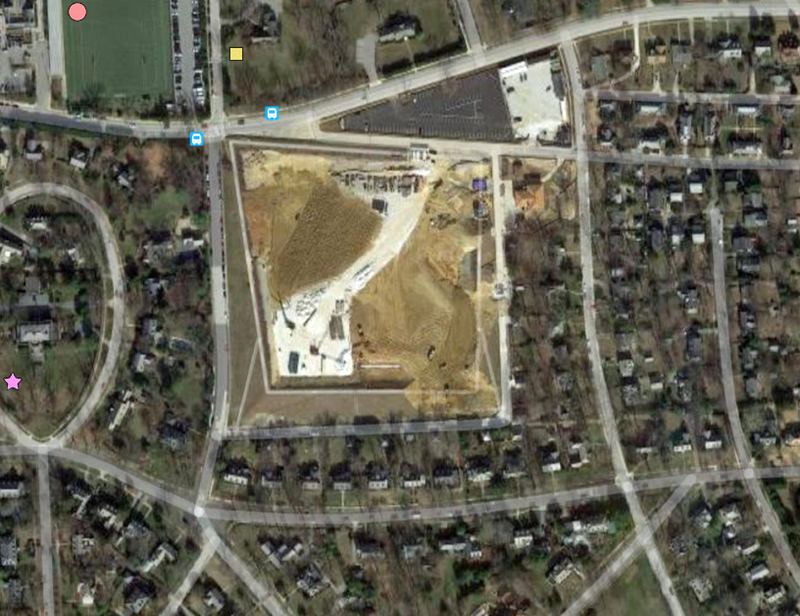 Here is an overhead shot a couple years ago. And here is another, showing the construction to cover the reservoir (actually installing new tanks).